Inspired by the famous Irish drink of yore, Monin created this sweet, rich and utterly delectable liqueur-like Irish Cream syrup to complement your coffee beverages and beyond. Add tasty notes to your favorite drinks, cocktails or dessert recipes without a trace of alcohol. 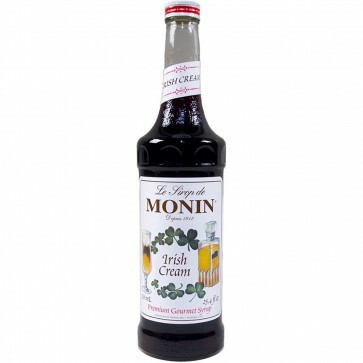 Monin's Irish Cream syrup tastes nearly identical to its boozier counterpart. Pure Cane Sugar, Water, Natural Irish Cream Flavor, Citric Acid.